David Rea had four decades of experience as a professional musician under his belt, and he found himself referred to, more and more often, as a "legend." But David's response was, "Hell, I ain't dead yet!" In fact, in his 60's, David felt that he was hitting his stride, more than ever, as an artist and composer. At the time of his death, he had three projects he was working on. Born in Ohio, near Akron, in 1946, David began playing Bach on the piano at age 5. By the age of 12, he was playing banjo and guitar. Smitten by the music of Merle Travis and Robert Johnson in his early teens, David also learned from the blues and bluegrass recordings that came north with the rubber workers in Akron's factories. Late at night, under the covers, he'd listen to rock n' roll records played by legendary DJs, who later became friends: Alan Freed, Mad Daddy, Big Wilson and Murray the K.
In 1964, when he was 17, David moved to Toronto, where he had his first commercial success at the center of what was one of the world's hottest acoustic music scenes. David worked with Gordon Lightfoot to create the filigree guitar style on Gordon's debut album, "Lightfoot!" 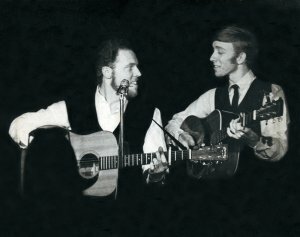 David played some live shows with Lightfoot in the early years (1964/1965), before Lightfoot could afford fulltime sidemen. Having established himself as a topnotch sideman, David appeared with some of the finest artists of the 1960s, including Ramblin' Jack Elliot, Joni Mitchell, Richie Havens, Judy Collins and Tom Rush. At this time, David also played with many old time bluesmen, such as Reverend Gary Davis, Mississippi John Hurt, Roosevelt Sykes, Lonnie Johnson, Skip James and Son House. While working with this popular folk/country duo, David's friends, Neil Young and Joni Mitchell, urged him to write his own material. Ian & Sylvia soon recorded his songs, "Pilgrimage to Paradise," The Minstrel," and "Ninety Degrees by Ninety Degrees." In the late 1960s, David wrote and recorded songs with Felix Pappalardi, producer of the English band, Cream. This partnership resulted in David's two solo albums on Capitol Records, "Maverick Child," in 1969, and "By the Grace of God," in 1971, which featured members of Pappalardi's band Mountain, with the Young Rascals, Kenny Buttry, Vassar Clements, Tommy Jackson and Norbert Putnam. David also co-wrote several rock classics for Mountain, including, "Mississippi Queen," which earned a Gold Record. The song has a life of its own, and is used frequently in other media, including a recent use in the soundtrack of the 2010 Sylvester Stallone movie, The Expendables. In 1970, David played on "Jesse Winchester" (Jesse's debut album, produced by Robbie Robertson of The Band), and recorded with the Clancy Brothers on "Show Me The Way" and Judy Collins on "Whales and Nightingales." His third album, "Slewfoot," was recorded in 1973 for Columbia Records with members of the Grateful Dead and New Riders of the Purple Sage. 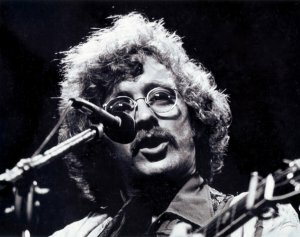 In 1975, "The Second Annual Farewell Reunion" joined David with Mike Seeger on an album that also included Ewan MacColl, Pete and Peggy Seeger, Kilby Snow, Roscoe Holcomb, Elizabeth Cotton, Ry Cooder, Maria Muldaur, The New Lost City Ramblers, The Highwoods String Band, Penny Cohen, Hazel Dickens, Tex Logan, Lesley Riddle, Don Stover, Eric Thompson and The Strange Creek Singers. 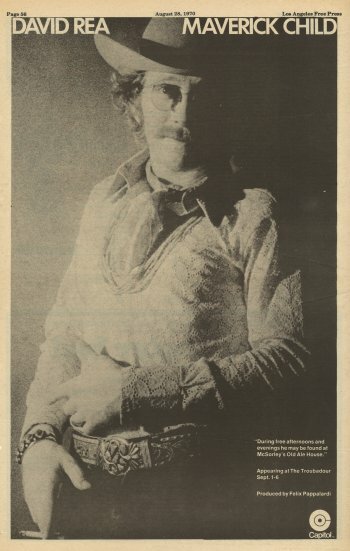 In 1976, the Canadian Broadcasting Corporation (CBC) produced an opera written and composed by David, inspired by the story of San Francisco's eccentric, self-proclaimed "Emperor," Joshua Norton. Its success was followed by several other CBC projects. In 1988, he created "David Rea's Robert Johnson," a three-part series about the famous bluesman, and "Music Don't Mind," a dissertation on the convergence of African and European music as the foundation for American music. David was awarded the 23rd International Gabriel Award for Excellence in Broadcasting for the Robert Johnson series. During much of the 1980s, however, David took time out to raise his three children, playing only short tours and selected festivals and projects. His skills remained in demand, though, as he played on albums by David Maloney and others. David also wrote a wealth of new songs that came out on "Feelin' Good," in 1986, and on "The Brass Ring," in 1993. While on tour with Ramblin' Jack Elliot, in 1995, David fell in love with the Pacific Northwest and moved from California to Bainbridge Island, just west of Seattle. David's 6th album, "Shorty's Ghost," was released in 1997, under his own label, Gistu Recording. Co-produced with Michael Knapp, the CD is a journey through wide-ranging musical territory. "Shorty" was recorded live, in two sessions, in Placerville, California. The album features new original material as well as some of David's arrangements of favorites by Robert Johnson, Blind Blake, Merle Travis, John Hurt and Turloch O'Caralon. His seventh album was released in August, 2000 and is aptly titled, "David Rea – Times Seven." With cover art work by his long-time friend Joni Mitchell, the CD provides a sort of retrospective. The cuts include never before recorded songs by both Ian and Sylvia Tyson, as well as classic Merle Travis tunes and original material by Gerry Sherman and by David, himself. 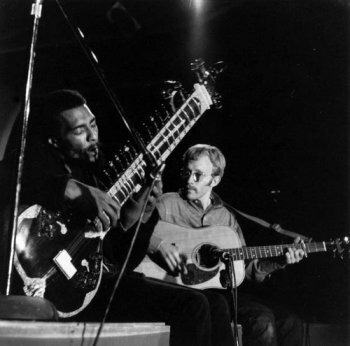 The CD was recorded in Portland, Oregon, where he lived at the time of his death, and features great backup work by a number of local musicians. It is available at this web site in the Online Store. David's second recording of The Gift, recorded in Edmonton in 2007, is included as the title song of the album "The Gift: A Tribute To Ian Tyson." 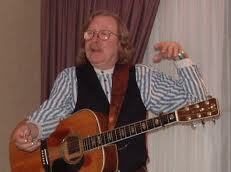 A consummate artist, David's live performances embodied his training in classical music, country, folk and blues. His performances ran the gamut from fingerstyle instrumentals and old-time/roots standards, through Celtic and cowboy ballads, to deep Delta and syncopated Piedmont blues. A master storyteller, David captivated audiences with artistry and humor that cuts across ages and musical boundaries.